Join us at a beautiful home on Cape Cod in So. Harwich for this very unique and intimate House Concert exploring the “Roots of Jazz” with Steve Loew, clarinet, and Daniel Weiser, piano. They will focus on New York City from the early 20th century to the 1940’s when waves of Eastern European immigrants, mostly Jewish, converged upon the city at the same time as the Great Migration of African-Americans from the South. Both groups brought along their own musical heritage that would ultimately cross-fertilize and help to produce a distinctly new American sound—Jazz. 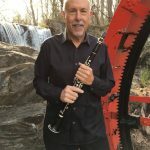 The concert will include great tunes by Gershwin, Benny Goodman, and Artie Shaw as well as some fun Klezmer-inspired music. 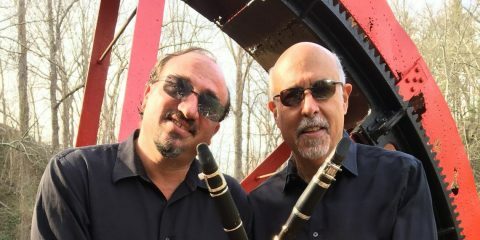 Loew and Weiser have performed in over 20 different countries and “bring an infectious excitement” to everything they play. 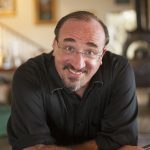 AmiciMusic, meaning “Music among Friends,” was founded by Artistic Director Daniel Weiser in 2011 while he was living in Asheville, NC. While still performing monthly programs in Asheville, Dr, Weiser moved to Baltimore, MD in 2013 where he also started an AmiciMusic branch. It is a non-profit (501c3) chamber music organization dedicated to performing high quality music in intimate settings and non-traditional venues. AmiciMusic performs a wide variety of music from classical to jazz, utilizing the talents of world-class singers and instrumentalists from across the country and around the world. They perform regularly in schools, Assisted Living homes, Churches, libraries, private homes, restaurants, bars, and more. We are excited to do our first AmiciMusic House Concert in the Harwich area. Seating will be very limited so buy your seats now. This concert will sell out! Admission includes light food and drinks. Please purchase your seats below with any major credit card. You do not need to have a PayPal account to purchase seats. To buy multiple seats, click on the yellow “Add to Cart” and you can buy as many seats as you want on the next page. If you prefer to purchase with a credit card over the phone, call Daniel Weiser at 802-369-0856. After you purchase seats, we will email you with a confirmation that will include the exact address of the concert. We will not send tickets to you, but will keep your name on a list of those who have paid.